The Walter Camp Football Foundation has announced the Football Bowl Subdivision National Offensive and Defensive Players of the Week, presented by Generation UCAN, for games ending October 1. Deshaun Watson passed for 306 yards and five touchdowns and added 91 rushing yards as 5th-ranked Clemson defeated 3rd-ranked Louisville, 42-36. Watson threw two scoring passes in the final seven minutes as the Tigers came-from-behind to improve to 5-0 overall, 2-0 in the Atlantic Coast Conference. Notes: It is the second time that Deshaun Watson has earned Walter Camp National Offensive Player of the Week honors (Nov. 1, 2015). Watson is the sixth Clemson honoree since 2004. Psalm Wooching had six tackles (5 solo) and three quarterback sacks as 10th-ranked Washington defeated 7th-ranked Stanford, 44-6. Wooching led a Husky defense that allowed just 213 yards of total offense. With the win, Washington improved to 5-0, 2-0 in the Pac-12. 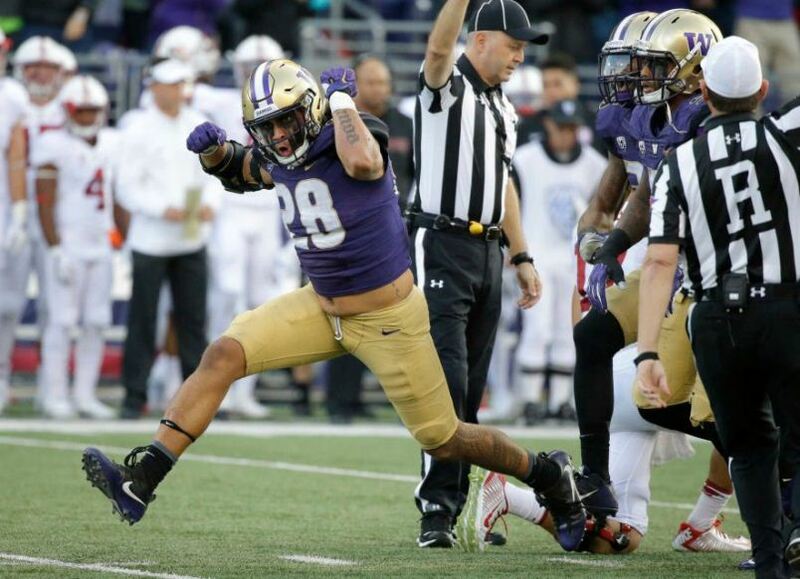 Notes: Psalm Wooching is the third Washington player to earn Walter Camp National Player of the Week honors since 2004, joining former Husky linebackers Donald Butler (Sept. 20, 2009) and Shaq Thompson (Sept. 14, 2014).